We believe every young person in the UK should have international experience. We help schools bring the world into the classroom by providing support and funding for international partnerships, curriculum projects, language teaching and continuing professional development for teachers. This includes our International School Award accreditation programme, which celebrates the international dimension of teaching and learning and supports schools in preparing young people for life and work in a global economy. Browne Jacobson is an award winning law firm offering a unique range of education legal and HR support to schools and academies from its five office network. Our dedicated education specialist lawyers and HR consultants provide HR support, annual legal advice packages and academy conversion project services for absolute fixed fees. Our clients choose and stay with us because of our sector expertise and exceptional client service - helping to deliver through innovative packages and strategic support. Disney’s The Lion King has an ongoing commitment to schools and young audiences and supports engagement with live theatre by showcasing its learning potential. The Lion King has created a variety of curriculum-linked education programmes which nurture future audiences and industry professionals by offering behind the scenes insights and specially-created versions of the production for schools. A variety of outreach opportunities have also been developed by Disney Theatrical Productions to support under-resourced schools, including Disney Musicals in Schools. The Lion King is committed to inspiring creative futures and is very proud to support the Creative School of the Year award category. The National Education Union brings together over 450,000 teachers, leaders, and education professionals into the largest education union in Europe. The National Education Union is committed to supporting and empowering new teachers as they enter our fantastic and challenging profession. 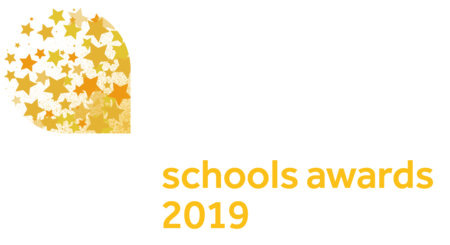 We are the professional voice of education and are proud to once again be sponsoring the New Teacher of Year catergory for the TES Schools Awards 2018. Our world is under threat like never before. We’re destroying forests, choking the oceans with plastic, decimating wildlife population sizes, and causing devastating changes to the climate. The problem is we think we have time. But nature needs life support right now: we must act to reverse the damage and restore nature. That’s why WWF is fighting to ensure a world with thriving habitats and species, and to change hearts and minds so it becomes unacceptable to overuse our planet’s resources. And as we are the first generation to know we are destroying the world, and could be the last that can do anything about it, we’re putting even greater efforts into our education work, helping young people explore their connections with nature, and supporting schools and teachers to offer learning experiences that equip young people to build a sustainable world. 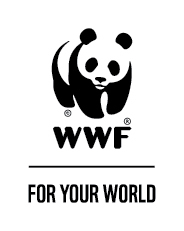 WWF is delighted to champion this Sustainable Schools award which celebrates the achievements of schools who are committed to empowering a new generation of environmental citizens and green ambassadors. Tes Institute combines the best in online and face-to-face learning to help school staff around the world to be the best they can- from trusted support staff and passionate graduates to confident teachers and leaders. Our unique approach allows learners to study in their own time, learning from their peers as well as from highly experienced tutors, whilst gaining the subject knowledge and teaching qualifications they need to progress.